Right before Harvey, Trump nixed a rule designed to protect cities from flood risks. Just close your eyes and build. Ten days before Hurricane Harvey made landfall on the Texas coast, President Donald Trump signed an executive order to speed up the pipeline for federal infrastructure projects. One component of that Aug. 15 order? Eliminating an Obama-era rule called the federal flood risk management standard that asked agencies to account for climate change projections when they approved projects. That drew condemnation from an odd coalition of scientists, civil engineers, and fiscal conservatives concerned about reversion to the old ways: pouring money into projects that would soon be washed away. “This Executive Order is not fiscally conservative,” said Florida Republican Rep. Carlos Curbelo in a press release. “It’s irresponsible, and it will lead to taxpayer dollars being wasted on projects that may not be built to endure the flooding we are already seeing and know is only going to get worse.” FEMA floodplain managers were “aghast,” E&E News reported. On the other side was the National Association of Home Builders. The NAHB argued the law’s requirement for raising homes after disasters “could make many projects infeasible, due to increased construction costs and the inability to offset these costs through higher rents.” Developers do tend to like unfettered waterfront construction. I have always done well with properties fronting on oceans, lakes and rivers. If something works, stay with it. Rep. Ralph Abraham, a Louisiana Republican who tried to undo Obama’s regulation in Congress, was thrilled with the president’s order. He told the New York Times that the state’s 2016 catastrophic flooding was an isolated event—and that regulations were the greater risk to the state’s well-being. 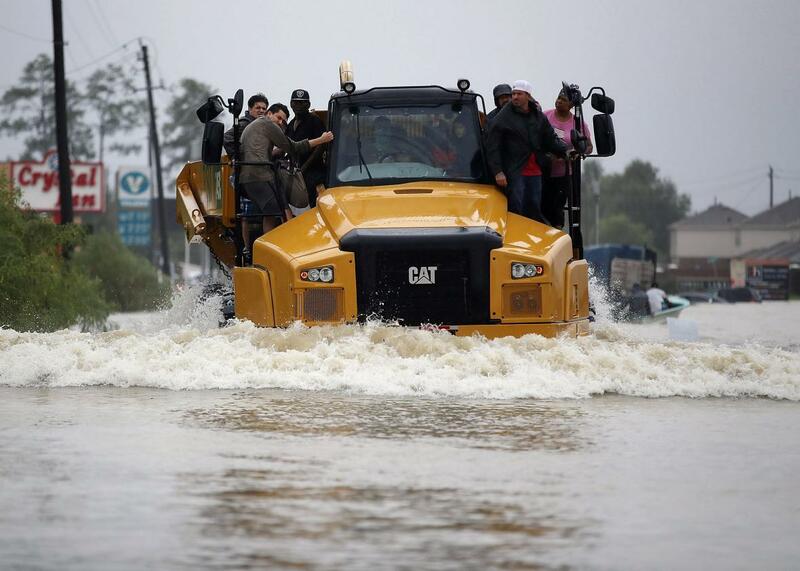 Meanwhile, on Monday, New Orleans Mayor Mitch Landrieu asked residents to shelter in place on Tuesday as the remnants of Harvey bear down on the city. The truth is that lawmakers from Brownsville to Boston represent constituents whose homes can only be insured thanks to federal flood insurance policies that no private company will provide. If rebuilding infrastructure with proper flood-ready design is more expensive, that’s because it accurately accounts for the uncomfortable level of risk in many low-lying coastal towns. Including many of the places that Hurricane Harvey blew through this weekend—and will continue to devastate in the coming days.